» Home » 2019 » January » 31 » UBC IRES Welcomes Dr. Claire Kremen! UBC IRES Welcomes Dr. Claire Kremen! The UBC Institute for Resources, Environment and Sustainability (IRES) is delighted to welcome Dr. Claire Kremen who has joined as one of UBC’s first President’s Excellence Chairs. Dr. Claire Kremen has commenced her appointment as the UBC President’s Excellence Chair in Biodiversity Studies. 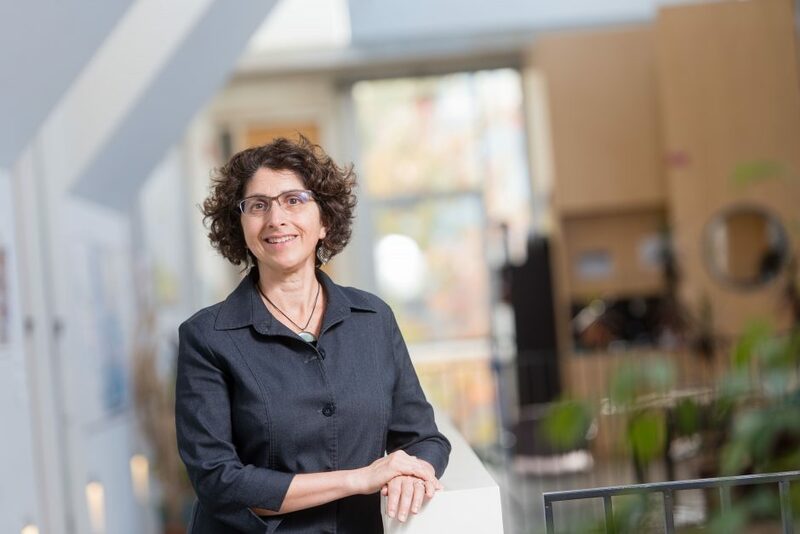 Joining the university as a Professor, Dr. Kremen holds a joint appointment in UBC’s Institute for Resources, Environment and Sustainability, and the Department of Zoology. She was previously a Professor in the Department of Environmental Sciences, Policy and Management at University of California, Berkeley, as well as Faculty Director of the Berkeley Food Institute. As a conservation biologist, Dr. Kremen’s applied research advances the fields of ecology, biodiversity and agriculture, seeking mechanisms to prevent or reverse the loss of biodiversity – one of the greatest environmental challenges facing humanity in the 21st century. Dr. Kremen’s lab at UBC will investigate how to create sustainable landscapes that benefit both people and nature. She will also develop a new initiative in Conservation Science at UBC’s Biodiversity Research Centre that will promote new research on pressing conservation problems and provide a platform to train the next generation of conservation practitioners and leaders. Dr. Kremen holds a Bachelor of Science (Honours) in Biological Sciences from Stanford University and a PhD in Zoology from Duke University, and her research has been published in highly-regarded journals such as Science, Proceedings of the National Academy of Sciences USA, Proceedings of the Royal Society of London – Series B, Ecology Letters and Conservation Biology.